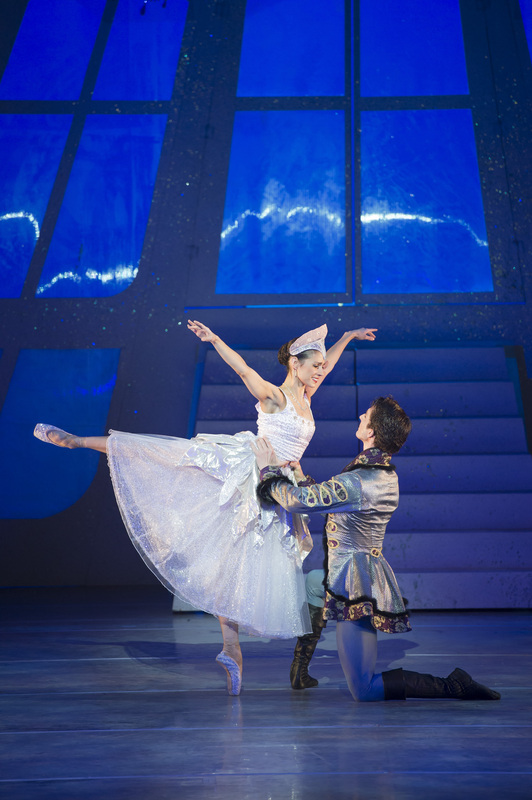 Martha Leebolt and Tobias Batley in David Nixon’s Cinderella. Photo by Bill Cooper. With Northern Ballet’s new production of ‘Cinders’, it’s fireworks all the way. Set in an Imperial Russia of snowy landscapes and sumptuous ballrooms, the brisk narrative pace, present from the get-go, doesn’t ever really let up. The action is punctuated by superb pyrotechnic and lighting effects, the costumes and sets are luxuriant, there are circus acts, bears and huskies and even a magician. Blink and you miss something. Each character has a set of signature dance moves and gestures. Among a slue of splendid dance performances, Jessica Morgan as Cinderella’s stepmother stood out. She was an elegant and sinister presence. Philip Feeney’s score seemed to emphasize the drama of the story rather more than Prokofiev’s traditional score, if I remember the latter correctly. If you’re looking for a Cinderella that pulls out all the stops, this superb production is the one to see. Current tour dates can be found here.